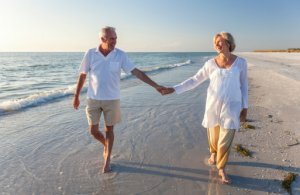 If you are considering retiring, either now or in a number of years, you may want to uncover those hidden gem locations you may want to retire to. But how do you find the retirement dream area that is right for you? Higher education is such a bellwether for so much. Locations that have attracted – and continue to attract – seniors who are very educated means other retirees with access to information are choosing this location. What better testament than knowledgeable retirees voting with their feet to come to a neighborhood. And, once there, they support the many myriad things that make living as a senior a good experience. NeighborhoodScout’s Retirement Dream Areas search contains a distinct algorithm that can identify peaceful, quiet neighborhoods. It seeks out less-densely populated areas that have low concentrations of children, college students and renters. Sure, these groups make for an exciting pace of life, but at this life-stage you’re probably passed the transient, raucous and rowdy crowd. These areas aren’t by any means rural or remote, but may be urban areas that have people living in them that tend to be on the less noisy side. NeighborhoodScout’s Retirement Dream Areas search includes low crime as part of the search profile. Our exclusive crime ratings for neighborhoods were developed based on the most recent data and crime statistics from the FBI and all 18,000 local law enforcement agencies in the U.S., using new proprietary technology (You can read up on our Crime Data FAQs, here.) Together, a peaceful, quiet and safe neighborhood creates a special, attractive area attractive to many retirees. While considering a move to a new neighborhood, you may also be considering a new type of home or living arrangement. You may want to downsize, or choose one-level living. You may want to trade in your single-family detached home for a condo in which your monthly association fees will pay for someone else to mow the lawn and maintain the property. Or, defy the retirement stereotype and move into an exposed brick-and-beam loft in a hip and trendy part of town. NeighborhoodScout’s Retirement search includes areas with diverse housing choices so you have plenty of types of homes to consider when searching for your retirement dream location. Not all rentals, not all owner occupied. Not only condos, not only single-family homes. Whether you’re looking for an urban center, a coastal retirement town, a mountain retreat, or even a fantastic neighborhood for retirement near where you live now so you can be close to friends, grandchildren, and children, NeighborhoodScout will find the best retirement dream area combining the above elements together with the price range, area and setting of your choice. Customize away, knowing that the best places for you are moments away, awaiting your exploration.